9.2.12 ✇ 20.30 u. ⌖ Op de Valreep, A'dam O. 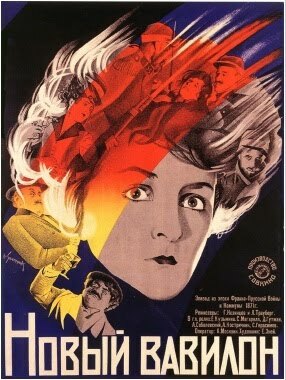 'One of the greatest masterpieces of the Russian cinema, rarely ever seen (in relation to the films of Eisenstein, for example). In fact, the film was "re-discovered" only in 1958. It depicts the events of the Paris Commune of 1871, the uprising in which the city of Paris revolted against the oppressive French government. The film depicts the events leading up to the revolt, and uses expressionist camerawork to illustrate the frenzied passions of consumers and the debauched lifestyles of the rich. It then follows the tragic story of two lovers separated by the barricades of the Commune. Filmed in a dazzling black and white, it's been described as "a metaphorical clash of glittering surfaces" and "the climax of Soviet cinema".